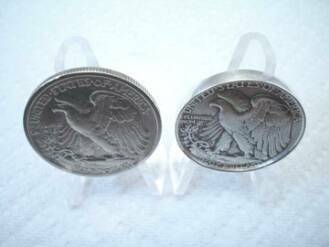 We are very pleased to announce that we have been chosen to display examples of our coin rings at the Philadelphia Mint. 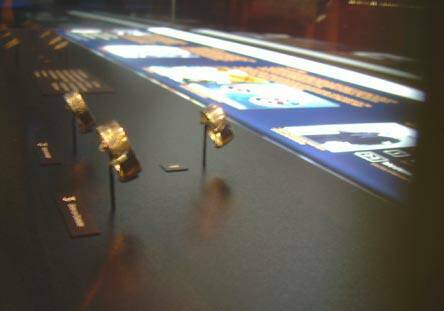 Our coin rings have been included as part of an exhibit for the grand opening of the newly refurbished visitor center museum which opened on July 4th, 2012 and will run through July 4th 2015. 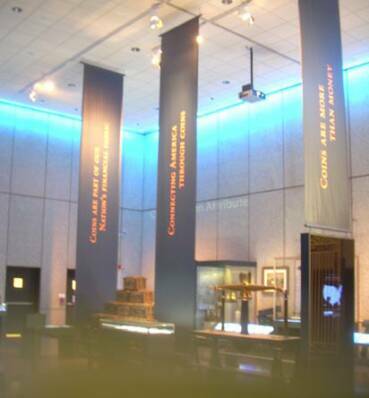 We are very honored to have our rings on display in this exhibit at the mint. 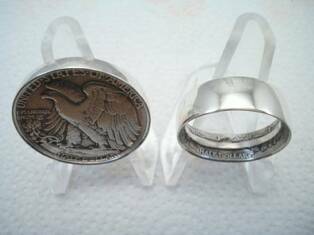 #1 Original single sided coin ring. 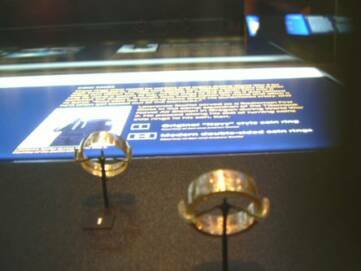 These rings were very popular forms of trench art with military service men and women during WWII. 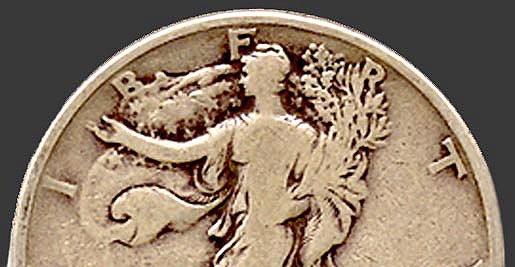 They were crafted by tapping the edge of a silver coin with a tablespoon or small hammer as it was slowly rotated between thumb and finger forcing the edge of the coin to flatten out. 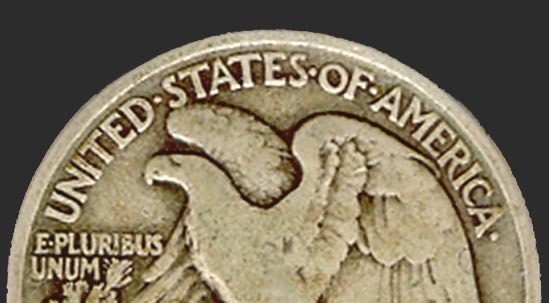 After the width and diameter of the ring were the correct size the center of the coin was removed. 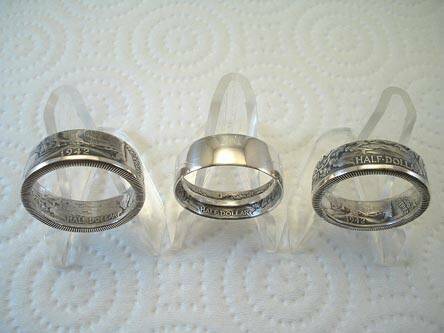 These rings were made using silver quarters and half dollars. It took many hours of tapping to make a ring using this method. 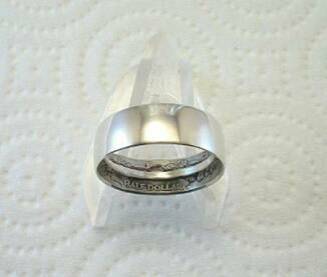 #2 is a double sided coin ring. This style of ring is crafted by first cutting a hole in the center of the coin. The coin is then placed on a tapered steel mandrel and the side of the coin is hammered over flat using a plastic mallet.